Pulse is LinkedIn’s very own self-publishing platform, and is a great way for users to get engaging and professional content out to a wide network of professionals. If however, like many other LinkedIn users, you are still unsure of how to use Pulse, or are even unsure of what Pulse is, then this is the blog for you. 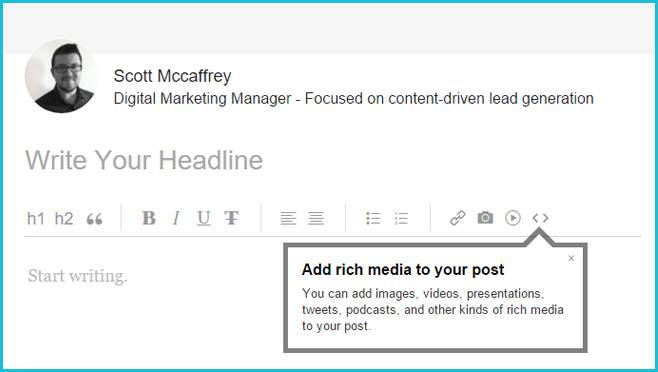 LinkedIn Pulse simply allows you to create and post your own content for other LinkedIn users to read and share. Not only does it equip you with a straightforward means of publishing content, but by sharing valuable and interesting articles, Pulse also provides you with an opportunity to improve your LinkedIn reputation. Why should I use Pulse? Whether you are looking for more website traffic, trying to find new business prospects, or simply looking to boost your LinkedIn reputation, Pulse is the platform to use. With over 400 million LinkedIn users worldwide, posting via Pulse is considered an extremely effective search engine optimisation (SEO) tool. It provides you with a huge potential LinkedIn audience, and is therefore a great way of driving new traffic to your website or blog. Plus, with LinkedIn being such a highly trafficked site itself, using Pulse as a blog platform means that your posts are likely to be higher in Google search engine results. 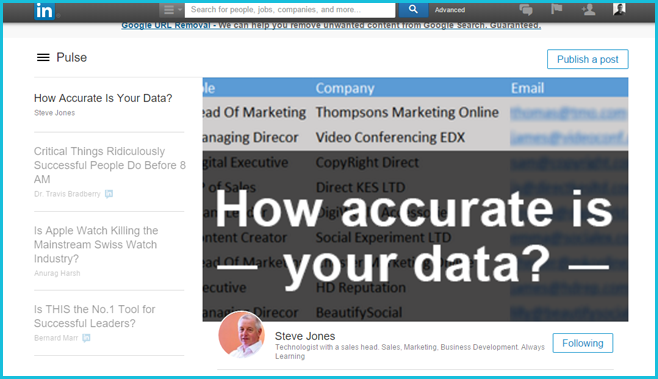 Pulse is also a great way of showcasing your expertise to other LinkedIn users. In writing and sharing good, valuable content, you are presenting yourself as someone who knows their field, which will make people trust in you and be more likely to want to hire or work with you. Where can I find Pulse? To find Pulse, simply go to Interests (at the top of your LinkedIn page), and then select Pulse from the drop down menu. From there you are able to read other posts that people have written and shared, or even write your own post by selecting the ‘Publish a Post’ button located in the top right hand corner. For a quick and easy way of creating a post, simply click ‘Home’ and ‘Publish a Post’ which will take you straight through to the publishing page. When writing a post, there are a few things that you need to remember to include to ensure that you are using the Pulse feature to your full advantage. Have an engaging headline. Ask yourself, would you click on this post if you saw it? Write about something that you are an expert in. A post which has both useful and valuable content will not only result in more clicks or shares, but it will also allow you to become recognised as an expert within your professional industry. Don’t shy away from having an opinion in your posts. As long as what you write isn’t unprofessional or offensive, it’s okay to voice an opinion (and it might get more people talking about or commenting on your post). Add media to your post. Images, videos, colour – it will make your post easier to read and also more visually engaging. (You might need to “play with” the size of the images you use – especially in the banner – so that they’re not blurred and can be viewed clearly. 700 x 400 pixels usually works best). Use tags which are relevant to your post’s subject matter. This makes it easier for people to find your article. Before you publish, ensure that what you’ve written is concise and focused – and remember to check grammar and spelling before publishing too. Once you have published, always go back and review your Pulse article to ensure that all of the images and links appear as they should. If there are any issues, you can simply use the ‘Edit’ function to change anything that needs refining.